Trev leads Incremental’s Dynamics 365 Customer Engagement business where he is accountable for driving our Dynamics Customer Engagement strategy, Microsoft partnership, solution design, capability development, customer delivery, support and performance. 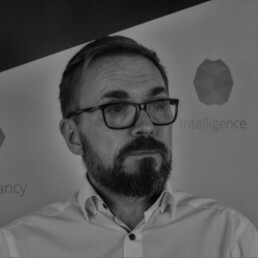 Trev leads our growing team of Customer Engagement Consultants and Technologists across the UK, delivering project recovery, implementation, consulting, upgrade and support services across Sales, Customer Service, Field Service, Project Service Automation and Marketing applications. Trev co-founded the leading Microsoft Dynamics business, Gap Consulting, in 1998 where he was Technical Director. Here he was involved in designing and supporting CRM solutions to meet customer requirements and maximise business benefits for organisations including Investec and Transport for London / Crossrail2. Gap Consulting was acquired by Incremental Group in June 2018, extending our Customer Engagement capability and scale.